News - Baby Point Gates B.I.A. Review: Campo restaurant finds fertile ground in Baby Point, The Toronto Star. Baby Point Gates BIA and the Pan AM Games, The Villager. Baby Point Gates BIA awarded for historic rejuvenation, The Heritage York Reporter. Restored Baby Point Gates Earn Local BIA Award, The Villager. Annual ‘Baby It’s Cold Outside’ event returns to Baby Point, The Villager. 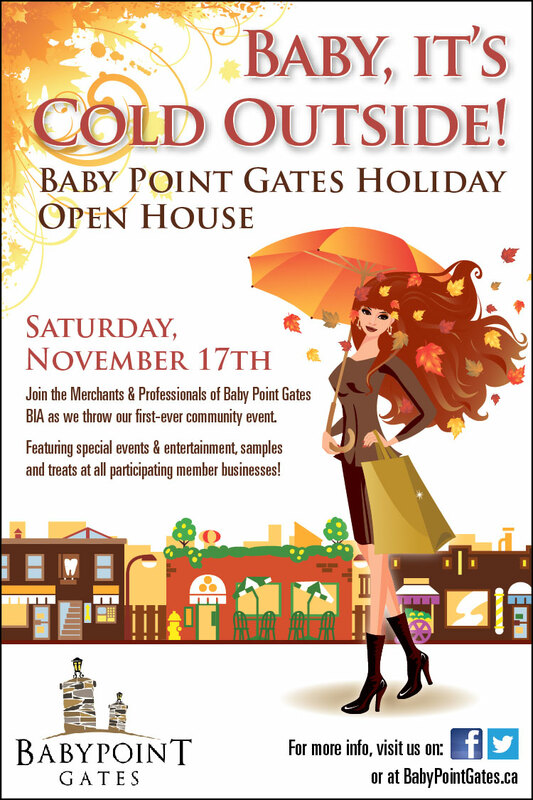 The Baby Point Gates BIA (west Toronto) hosts 3rd annual doors open event to kick off the holiday season. Baby, it’s Cold Outside! 2nd Annual Holiday Open House and Sale! 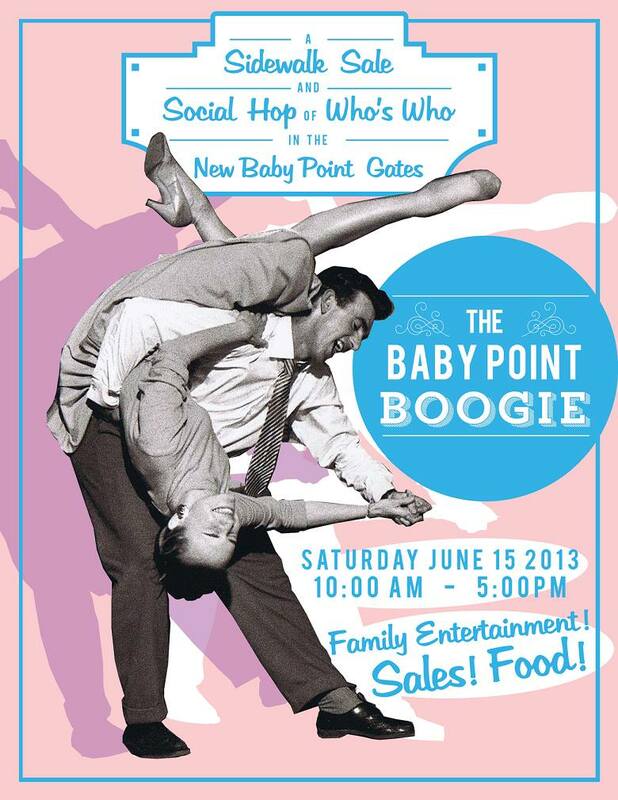 The Baby Point Boogie! Our Very First Sidewalk Sale! City Council approves improved parking by-laws for Jane St. and Annette St.
Baby it’s Cold Outside! Open House Event in the BIA! Click here for a list of merchants hosting special events on the 17th.